As a smaller “specialty firm,”the guiding principle of PRG is personal service. It is a policy of the company that clients are represented by the agency as a whole, not just one agent as is often the case at the larger agencies. As a result, when working with PRG, both of us will be there to represent you throughout your entire transaction. Team up with Prouts Realty Group when you make the move to Prouts Neck! Lorraine serves as the company's designated broker. Lorraine began her real estate career at a national company prior to forming Prouts Realty Group, LLC. She is a graduate of the University of Vermont and holds a Masters Degree in Public Health from Boston University. Prior to her entry into real estate, Lorraine held several administrative positions in the health care industry. She and her husband, Peter, have lived in Scarborough for 30 years where they raised their two boys, Ben and Andrew. 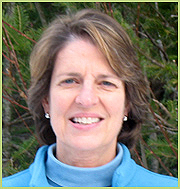 Lorraine is a Director of the Prouts Neck Association Community Grant Program and is a former Director of both the Prouts Neck Women’s Auxiliary Association and the Prouts Neck Bathing Association. Peter holds an Associate Broker's license, and is a 35-year veteran of the real estate industry. For the past 20 years, he has served as Managing Director in charge of acquisitions for a national real estate investment firm based in Boston. The firm sponsors corporate funds that invest in residential properties, both single and multi-family. 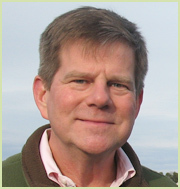 Peter is a graduate of Harvard College and Past President of The Harvard Club in Maine. He is also a former Director of the Scarborough Ice Hockey Boosters and a former Director of the Prouts Neck Country Club. Peter enjoys golf, tennis, and sailing.